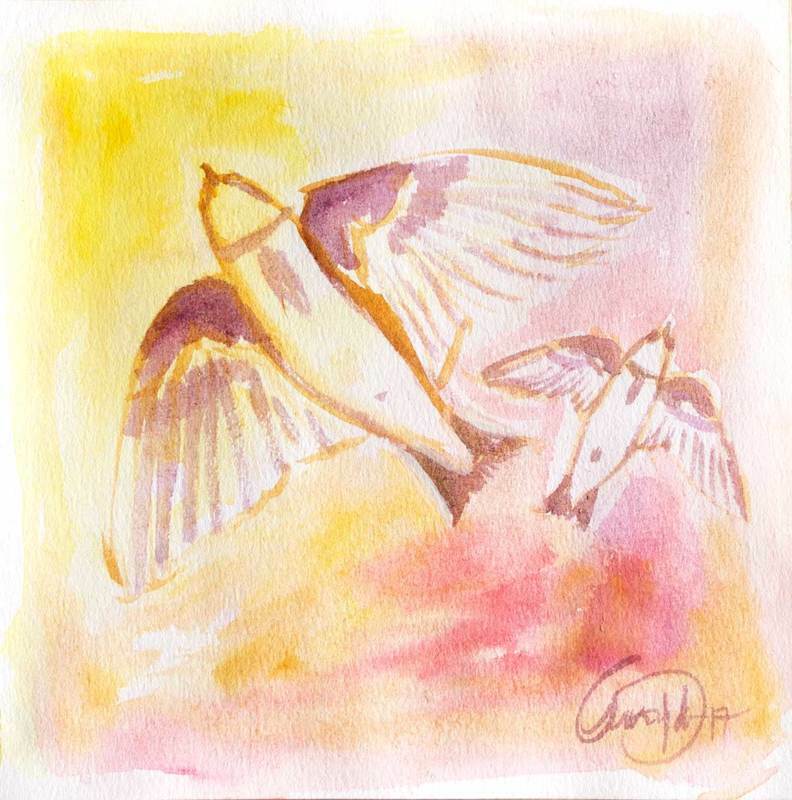 They dart through ethereal summer watercolour skies of gold, mauve, dusky pink and sunset yellow. Swallows; I've been watching them, adoring them. Made from earth but the air is their home.